DADA Gallery Walk April 22, 2017 Noon – 8:00 p.m. Welcome to Dallas! Don’t miss the 2017 DADA Spring Gallery Walk on Saturday, April 22nd from noon to 8:00 pm. This is a great opportunity to start or enhance your art collection. Art enthusiasts, private and corporate collectors, artists, designers and visitors to Dallas can enjoy a full spectrum of gallery openings, special exhibitions and art talks. Online Gallery Guide click here! Don’t miss the 2017 DADA Spring Gallery Walk on Saturday, April 22 from noon to 8:00 pm. This is a great event for everyone from the art novice to the aficionado. Art enthusiasts, private and corporate collectors, artists, designers and visitors to Dallas can enjoy a full spectrum of gallery openings, special exhibitions and art talks. The Spring Gallery Walk includes DADA member spaces representing art dealer galleries and nonprofit art organization art spaces. Start on Dragon Street in the Design District. Craighead Green Gallery, 12-8 – Daniel Angeles, Carlos Ramirez, & Orna Feinstein: Ashera. LuminArté Fine Art Gallery 12-8 pm featuring work by Albena Hristova. 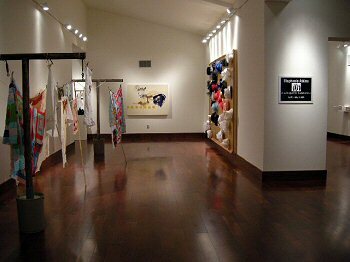 For more information e-mail info@dallasartdealers.org.